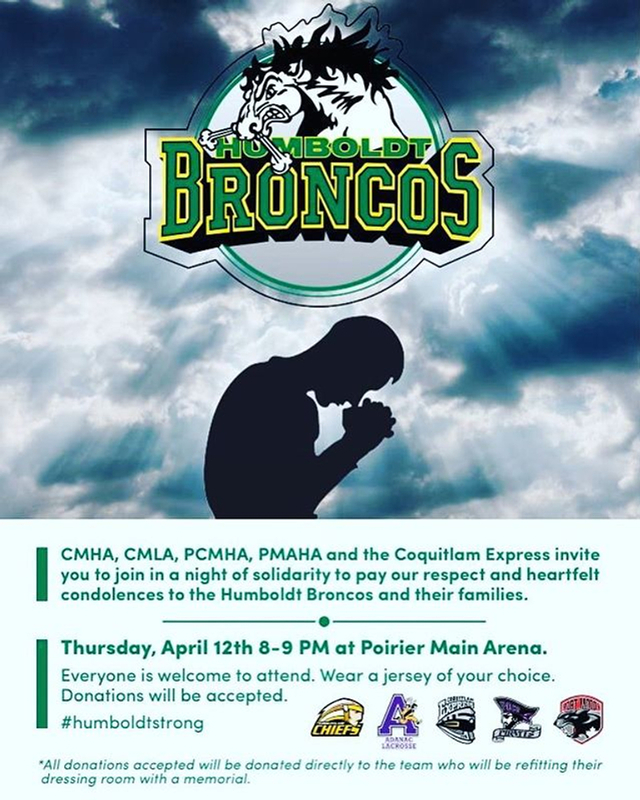 Please Join us for a Vigil in honor of the Humboldt Hockey Team - hosted by Coquitlam Minor Hockey & Coquitlam Lacrosse. 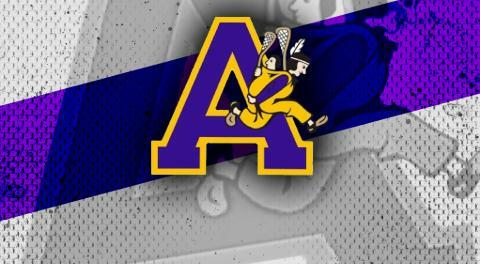 This Thursday evening April 12th at 8:00 - 9:00 pm at Poirier Leisure Sports Complex - Main Rink - doors open at 7:00 pm. We encourage you to come in your team jersey's, parking may be limited so carpooling is advised. Try and meet up with your team and enter together if at all possible. Memorial pins & stickers - by donation at the door. Fundraising T-shirts and Kettle Corn will be available for sale. Organ Donor card registration will be onsite. All proceeds will be donated to the Humboldt Broncos The funds that are received will be used to rebuild the Humboldt Hockey Team - consideration will be given to upgrading the dressing rooms, purchasing equipment, staffing - and for a permanent memorial for the lives lost, other costs and needs. A trust committee has been struck by Humboldt Bronco Alumni who will decide and release funds accordingly to meet the fundraising agenda.